Experience has shown us that communities everywhere have untapped assets and creative potential. Volunteering, social action and ‘people helping people’ can harness this potential: shifting the power from the state to citizens, augmenting public services, increasing sensitivity to community and citizen needs, and enabling people and places to thrive. Community connections can also benefit us as individuals, giving us a sense of purpose and having positive effects on our physical and mental health and wellbeing, improving our own lives and the lives of others. It is clear there are barriers to volunteering. Over 90 per cent of people want to do some form of volunteering; but in the UK, we know that on average 44 per cent of people under the age of 50 formally volunteer at least once a year and for those over 50 this figure is 37 per cent. This demonstrates the scale of untapped enthusiasm for social action, particularly among people aged over 50. At the same time, life expectancies are increasing by five hours a day. The potential for making a difference through social action is therefore held by people across generations and there is huge opportunity for people aged over 50 to contribute their skills and knowledge from a wealth of life experiences. In September 2017, Nesta and the Department for Digital, Culture, Media and Sport launched the Connected Communities Innovation Fund. The fund focuses on how we can incorporate non-traditional modes of volunteering - often informal - to tap into the skills and experiences of people within communities throughout the lifecourse. The fund supports organisations with between £75,000- £275,000 to both develop and test early stage ideas, in addition to scaling innovations which demonstrate impact. Here the 12 ambitious innovations share their plans to grow their work to mobilise many more people, to use their time and talents to support people and places to thrive, alongside public services. A further 4 organisations are working across the public and charity sectors focussing on innovations which enhance community resilience in emergencies. Read more about these four grantees. The Library of Things has reinvented libraries by making useful objects like power tools, gardening items and cleaning equipment easy and affordable to borrow, and by delivering a range of volunteer-led skill-sharing events. Focused as much on community connections as preventing environmental waste, these events and workshops are focused on sustainable living by offering mending meetups, upcycling workshops, DIY workshops and repair cafes, where the volunteers engage with members of the community, and can share/learn new skills, make connections and reduce social isolation. Library of Things has been awarded £74,978 to mobilise the time and talents of 150 volunteers, including 68 people aged 50+, to reach 2,760 beneficiaries, with plans to expand to a further nine sites in the next three years. Neighbourhood Watch Network (NHWN), in partnership with the local police and voluntary and community sector organisations, will develop and test a framework within which community based support in crime prevention and victim care can be provided by trained volunteers within communities. It focuses on training NHWN members and new volunteers to advise and encourage older people to better protect themselves from fraudsters, recognise when a fraud has been committed and how to report it, and give practical and emotional support to older people who are victims of fraud in order to reduce re-victimisation and help them recover as quickly as possible. Neighbourhood and Home Watch Network has been awarded £74,987 to further develop the programmr in the Thames Valley Area, recruiting 100 new volunteers, including 65 people aged 50+, to reach 650 beneficiaries. By codifying their learning through working in the Thames Valley Area, NHWN will aim to replicate the successful elements of the project to other geographies beyond the lifetime of the fund. The Southampton Collective’s ‘Sniffy’ project aims to empower communities to take action on air pollution by training volunteer citizen-scientists to build and deploy low-cost air quality monitors around Southampton to generate data about air pollution in the city. The data collected will be used to raise awareness, stimulate behavioural change and collective action through a series of workshops and community engagement projects to discuss local concerns and potential solutions to local pollution. Clear and achievable actions plans will be developed, along with personal commitments to take action and improve the environment. The Southampton Collective has been awarded £75,000 to mobilise the time and talents of 250 volunteers, including 125 people aged 50+, to reach 250 beneficiaries. Oomph! Wellness Training Ltd.’s ‘Connecting Communities Walks’ project aims to prototype a new service to support older people to get active, spend time outdoors, meet new people, and connect with their local environment, assets and services, through volunteer-led walking groups. The volunteers, participants, and walks themselves are digitally enabled through a platform that will be prototyped, tested and adapted throughout the lifetime of the fund, in order to create conditions for repeat attendance, and sustained physical activity. 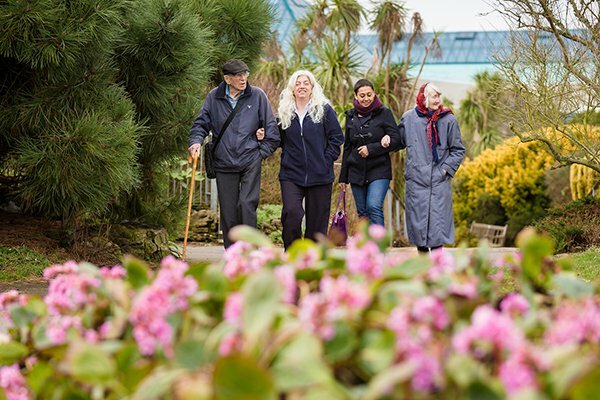 Through using a digital platform for enabling volunteer-led walks with older people who would like to engage in more physical activity and connect to their neighbourhoods, Oomph are seeking to test whether this could be a scalable and impactful approach. Oomph!’s ‘Connecting Communities Walks’ programme has been awarded £84,590 to mobilise the time and talents of 240 people, 216 aged 50+, to reach 962 beneficiaries. This project supports people in low-income communities to increase their skills, resilience and assets by forming new Self-Reliant Groups (SRG). In each SRG, six or more people from the community will independently save money together on a regular basis and collectively decide what to do with those savings, for example by sharing resources, or running joint micro enterprises. The SRG approach enables those who are disadvantaged, isolated or lacking in resources, to take charge of their own lives and become self-reliant. Church Action on Poverty has been awarded £175,350 to mobilise the time and talents of 200 volunteers, including 130 people aged 50+, to reach 200 beneficiaries, and will expand their work to create 25 new SRGs by April 2020. Cities of Service is a coalition of four local authorities (Plymouth, Bristol, York and Barnsley). The model, led by local authorities, supports cities to mobilise the talents and energy of volunteers to meet city wide challenges. ‘Cities of Service – The Next Generation’ wants to scale the programme further to work with even more citizens with the added value of concentrating on volunteers aged 50+ across four local authority areas. Impact volunteering initiatives will ask citizens to help cities with their most pressing needs - leveraging the skills and knowledge of volunteers into the areas where the biggest impact can be made, for example; reading, health and wellbeing programmes, and tackling loneliness and isolation. 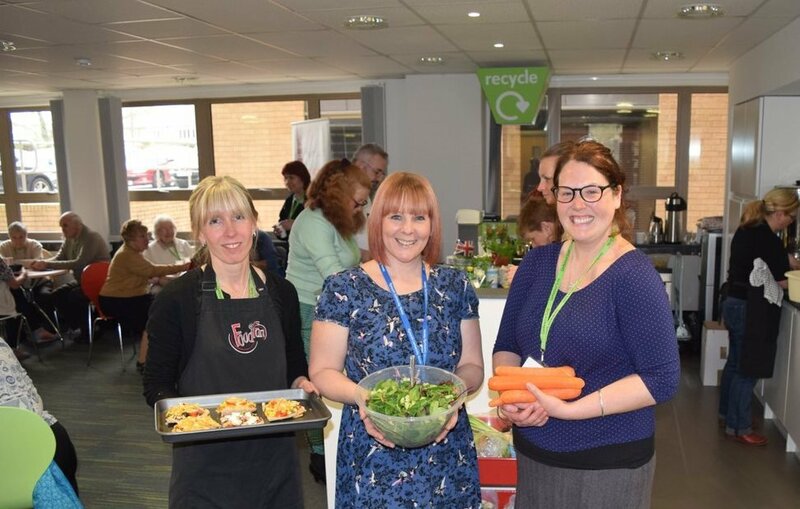 Plymouth City Council will grow its ‘Grow, Share, Cook’ approach across the city, with a new focus on engaging people aged 50+, as well as focusing on healthy food support for diabetics via referrals from GPs, and people at risk of type 2 diabetes. Bristol City Council will build on its existing reading programme for primary school children, rolling this out across the city to provide a reading buddy for ‘every child that needs it’. York City Council will focus on improving the health and wellbeing of the city by developing health city champions who develop and lead key activities. Barnsley Council will grow their work to reduce loneliness and isolation, in specific geographies, mobilising the community to take action. They will link with GPs to enable integration of social prescribing referrals with community action initiatives. Cities of Service has been awarded £235,425, mobilising the talents of 582 volunteers, including 370 people aged 50+, to reach over 3,000 beneficiaries. The Cities of Service model will expand through accelerating the growth of the initiatives to reach many more citizens. Equal Arts’ ‘HenPower’ project works in 40 older people's care home settings across England contributing to the improved well being of residents by building relationships between older people and care staff, families and wider communities including schools. Hen keeping is used to facilitate community engagement with a purpose of improving wellbeing, reduce loneliness and depression. Equal Arts has been awarded £244,000 to establish 24 new projects (a 60 per cent growth increase) across England, by recruiting 1,680 new volunteers, including 1,100 people aged 50+, to reach 9,680 beneficiaries in care homes. 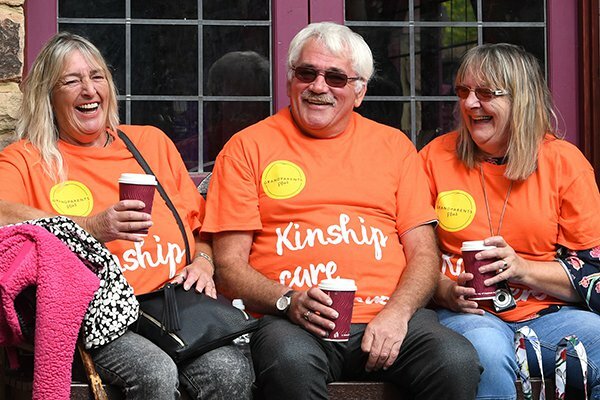 Grandparents Plus’ ‘Kinship Connect’ project will build a community of interest for kinship carers and provide kinship carers with peer-to-peer support through an enhanced network of peer-led support groups. Kinship carers are people who look after children (often grandparents or aunts and uncles) who cannot be looked after by their parents. Kinship carers will act as 'experts by experience', trained and supported to lead groups locally, reducing isolation, facilitating peer-to-peer support and building resilience. The project will improve local authorities’ capacity to support kinship carers and promote greater understanding of kinship care and their support needs. Grandparents Plus has been awarded £276,948, mobilising the time and efforts of 880 volunteers, including 660 people aged 50+, to reach 880 beneficiaries. Grandparents Plus will consolidate the work they have undertaken to date in the North East and North London, reaching and supporting more people in these areas, as well as expanding to new geographies in England in the second year of the fund. In 2017, Hull was chosen to be the UK City of Culture and, as part of this, set out to develop a new model for large scale volunteering initiatives in cities hosting national events. Their aim was to develop an approach for citywide volunteering that capitalises on the existing activity happening in a city (such as the cultural programme for 2017) and uses this as a starting point to inspire residents and organisations to see volunteering as a tool to positively change the place in which they live. Following the success of 2017, the organisation is set to continue developing legacy projects from the year, including a programme of citywide volunteering. Absolutely Cultured has been awarded £250,000 to engage 700 volunteers, including 350 people aged 50+, to reach 700 beneficiaries. In2Science UK matches scientists, engineers, and technology and maths (STEM) professionals in top-ranking UK universities with young people from the poorest backgrounds with an interest in STEM, by providing those young people with two week long laboratory placements and supplementary workshops. This provides young people with meaningful exposure to STEM fields they are interested in but might not have been able to access, increasing their ‘science capital’ and providing a pathway to further education and employment in STEM fields. 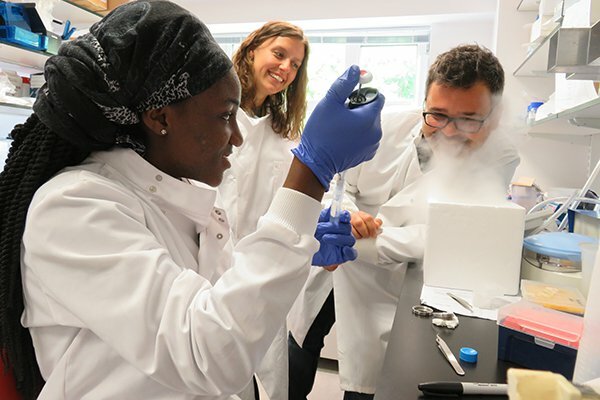 In2Science UK has been awarded £250,000 to expand the programme across the UK - from two regions (London and the South East) to five regions (East of England, the South West, and the North West) - mobilising the talents of 517 volunteers, including 305 people aged 50+, to reach 1,749 beneficiaries. The Restart Project takes community-based local action to prevent electronic waste and change the way people consume electronics (buying less electronics in general, and buying more repairable electronics) by hosting 'Restart Parties' where volunteers help to repair electronic devices - and at the same time train others to do the same, encouraging the development of the repairable electronics market and reducing waste. Alongside this activity, Restart has developed a wiki-repository of information on fixing electronics, as well as a database that tracks the environmental impact of each fixed device (in terms of CO2 tonnage). 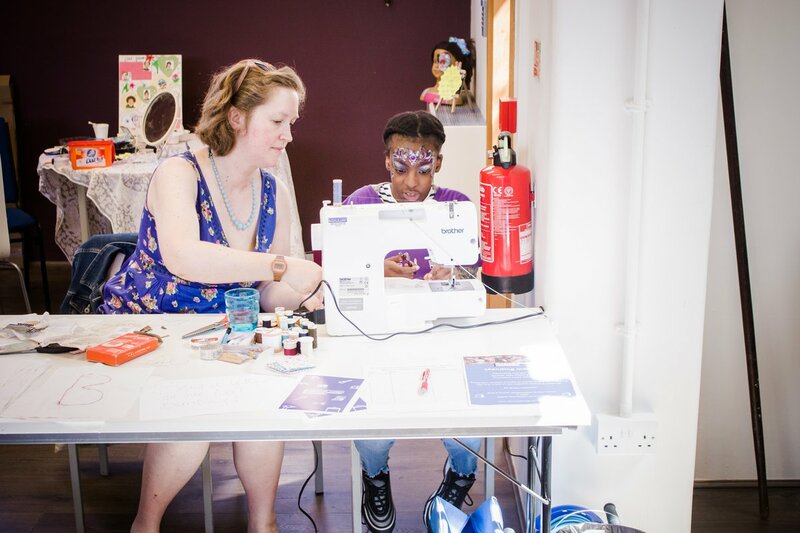 The Restart Project has been awarded £204,000 to scale their 'Restart Parties' nationally to 10 new locations across England, engaging 600 volunteers, including 210 people 50+, to reach 4,536 beneficiaries. Uprising’s 1 Million Mentors (1MM) programme aims to ensure every young person in the country has access to a trained mentor as they transition into adulthood. The project’s ambition is to train, recruit and connect a million professionals to a million young people in the UK over the next 10 years to help them maximise their talents. This is to be achieved through their online platform that mobilises mentors, provides online and offline training to drive up mentoring quality, matches them with young people who want a mentor, and provides a framework and ongoing resources to support mentors and mentees. Once the mentor has completed their online training they are matched to a third party organisation working with young people. Uprising has been awarded £270,000 to substantially expand their work in the West Midlands (six new areas), Greater Manchester (five new boroughs) and London (three new boroughs) through mobilising the time and talents of 5,319 volunteers, including 1,064 people aged 50+, to reach 5,453 beneficiaries.